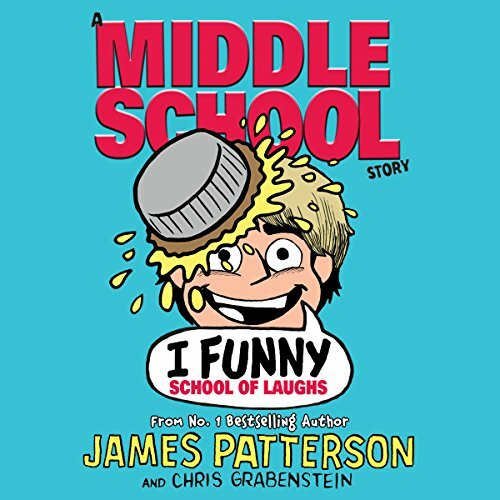 Random House presents the unabridged downloadable audiobook edition of I Funny: School of Laughs by James Patterson, read by Adam McCarthur. Teaching other kids how to be funny is the toughest gig that Jamie Grimm has ever had, and with the highest stakes. If he fails, his school library will be shut down for good! Even though he has a national contest trophy and a TV show under his belt, Jamie Grimm isn't one to sit back and relax. When his school has a major funding crisis, Jamie hits on a bright idea to save the day - a comedy class for the other students. Little does he know that making jokes and teaching jokes are two very different things...and he's good at only one of them. With the fate of his school's library on his shoulders, Jamie has to dig deep to see if he has what it takes to succeed at his most difficult challenge yet.